Tried my new Voile Chargers today. First impression - why did I wait so long.. They tour (xc) better. Rocker + width + length = win. They turn better, faster, easier. Again, rocker for the win. Uphill, in 24" of dry slightly consolidated powder, they climb as would be expected of a fish scaled ski in those conditions. I set a lower angle skin (scale..) track, using 6 years of familiarity with Karhu Guides... and was rewarded with not having to pull my skins from the pack.. Pretty nice. However, I won't leave home without them. (Skins). The Chargers turn on a dime, almost remote control. The tails are definitely stiffer than the tips, but I didn't find that I noticed, other than that they like the fall line..which is a good thing. (ie. All my downhill lines were in fairly tight gladed hardwood, so it was pretty slow-mo. That bring said, it was very confidence inspiring to be in total 100% control in unmanaged terrain. Equal to or better than waxing? As Cartman would say, Suuuuper Schweet! Id have to say about equal in the -6c powder when first setting a track. As the snow was pretty consistent (and temp) grip waxing would have been straightforward. Fishscales get better as the snow approaches 0c . Scales will never replace skins for climbing steeper pitches to access cold smoke pow. 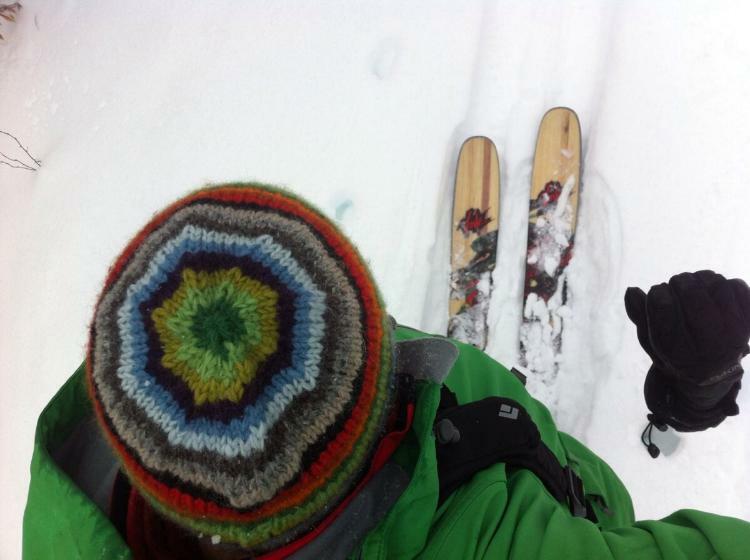 They are however, a great quiver ski to have to enable max fun with minimal time and fiddling. I spend my fair share of time dabbling in the black arts of grip waxing XC track set skis... And I enjoy it. But the fish scaled Voiles (and Karhu Guides) are a no brainer. Thanks again for your input and endorsement of the chargers Darkside. Gee Harv, those sure are some purdy boots... Nice and shiny and all..
Now go get working on step 2. The shop selling those is matching them with Rotte R-8's and Rossi's. I thought the guy told me the Rossi's were 125s but from the graphics it looks like they might be the 110s. TD, Shaman... opinions on this setup? I'd like to patronize this shop if it makes sense... a mile from the cabin... a nordic center... pushing out that package. Gotta like it. Is that the shop at Garnet Hill? Isn't Adam running that shop? I've got some other friends who purchased the BC110s from him (they've never skied Tele before, but they want to screw around in the BC). I've got the BC110s too (picked them up off of a close out sale from EMS last year). They seem great as far as I can tell. Cool on a golf course, cool on the toll road. Haven't tried hiking anything super steep on them, but I cut some skins to fit them just in case. 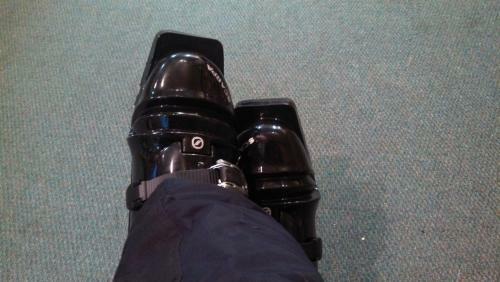 Lots of camber, pretty good kicking and gliding with Rotte 3 Pin bindings. YES to all. Garnet Hill, Adam. I want to tool around Harvey Woods (not too much vert but working on a "glade") and also head into the northern Siamese. Kick and glide, then off trail to find some descents. Some Raymond Brook and some Gore to Garnet/Harvey.